After hundreds of requests, Fab Dupont finally takes on a full mix, in the box, all in Cubase. Featuring the song Periscopes by NYC band Plastic Days, Fab mixes the song from scratch and describes every move he makes in detail. Fab uses stock Cubase plugins as well as plugins from Sonnox, Universal Audio, Soundtoys, Waves and more. As always, this tutorial also comes with the WAV file stems of the session so you can create your own mix of this song. This way you can practice your skills and mix this song using your own tastes, tools, plugins and put the tricks you learn from Fab to use right away. Good morning children! Today we're going to make some Indie pop song. If you know the difference between pop and Indie pop, send me a postcard! Till then, we'll be using Cubase, because that's the kind of people we are and built-in Cubase plug-ins, and some of our favorites. This song is called Periscope, by a band called Plastic Days, producer Benoit Muñoz, mixed by "moi". Here it goes! To get a vibe of what the song is about, I'm gonna listen to the rough sent by the producer. What I like best is a flat downmix, everything at 0, with no plug-ins. That way, I can make my own version of what I'd like it to be like, and not be influenced by the producer's vision. I'm gonna figure out if it's acoustic drums, electronic drums, or both, synth bass, electric basses? Distorted guitar, lots of guitars? Keyboards, no keyboards? Soft, synths, real keyboards? Lots of vocals? Is it a verse/refrain? Is it a verse/chorus? Does it need to grow? Or is it an up and down kind of thing? Let's listen. And it repeats from there, and that's what makes pop music! We're going to focus on this part we just heard, and mix that, so we can do it in a semi-reasonable amount of time. What I heard structure was is this: Intro, verse, pre-chorus, chorus, all the crescendo. It's not like the verse is big, pre-chorus small, and then chorus big it really is a growth thing, so I have to make sure that the mix supports that. Second, I hear a lot of interaction between acoustic drums and electronic drums, that's gonna be fun to set up. I have a lot of room for the drums, because the vocal is very sparse, which is great. the guitars are used to lift the pre-chorus so I have to give myself some room for that and then the chorus is really made out of the synth layers that come in just there. So what I'm gonna do now is show you my session layout. All the tracks are color-coded here. In green, we have the drums, which are all routed to one group track called Drum Clean Sub, it's a submix. There's also a Drum Parallel Sub, which we'll talk about later I always have it in the session for this kind of music. Then I have, in blue, the electronic drums which are routed to a group track called Electronic Drum Sub. Then, in red, Amp and DI for the bass, going to a group called Electric Bass Sub. Then, a bunch of guitars which are all routed to a Guitar Sub. And then a bunch of keyboards, which are routed to a Synth Sub. And then a bunch of pianos that are routed to a Piano Sub. A bunch of lead vocals and doubles, which are routed to a Lead Vox Sub. And then a bunch of harmonies, vocals routed to a Harmony Sub. All those subs are routed to a bunch of group tracks that are all the way to the left of the session because that's where Cubase puts them and you don't want to argue with the boss! I call that set of group tracks "Stems". We have an Acoustic Drum Stem, Electronic Drum Stem, Bass Stem, Synth Stem, Guitar Stem, Lead Stem, Background Vocal Stem and then FX Stem. These are kind of like my Masters. You'll notice that they're grouped together. A clean drum bus and a parallel drum bus are going to the Acoustic Drum Stem. The Electronic Drum bus is going to the Electronic Drum Stem. Bass is going to the Bass Stem. Guitars are going to the Guitar Stem. Both the Synth sub and the Piano sub are going to the Synth Stem. A Lead Vox sub is going to the Lead Vox Stem The Background Vox sub is going to the Background Vox Stem. And then the FX Stem is for all the reverbs that I'm gonna show you in a minute. Why am I adding a layer of group tracks? For several reasons. Number 1: I group them together I have a full overall level for the whole mix since everything is coming through this. This is very nice if I'm starting to clip my converters on my internal mix bus. Second: if I aspire to go to analog summing for example all I have to do is reroute every single stem from going to the Mains to going to a physical output so now I can, say, prep my mix on my laptop in the box, go to the studio, stemming out to a console, or to a 2-bus, and have a mix with analog summing. That's a very good setup to do that for. Another advantage is that I can also add, say a limiter, on the stem. In this case, I'm gonna add a limiter on the transient-heavy stems, the drums. That allows me to create a louder record using less compression on the individual tracks but that's definitely material for a different video. And you have a spot where you can offset the whole mix level without having to search through the different subs You have a spot where you can insert some final processing and where you can reroute your entire mix to an analog summing box in five seconds flat if you want to. It's a pretty neat way to work. Next to my stems are my effects, reverbs and delays. My assistant sets this up by default, he knows that's what I like this week. Next week... I don't know! In this case, I have the EMT 250. RoomWorks, which is kind of like an Office kind of like a short reverb kind of vibe. A stereo delay to tempo, 1/4 note. And the EMT 140, which is the one I like to use for sauce. So! To summarize: We have a whole bunch of audio tracks with music on them. Then a whole bunch of subs, routed to a whole bunch of stems. And then a whole bunch of effects. Lastly, here's a cool trick for Cubase users. If you go all the way to the right of my session, and I put it there randomly, because it's visually appealing in the Arrange window here, I have a reference track. I can hear my reference track, which is a different song. But if I remove the solo, it goes back to me mute it automatically. I can have a reference built into my sessions. For example, I can listen to my mix and then, I click once, I hear the reference and then I click again on the Solo button and I'm back to my mix. This is amazing! I can now listen to my current mix, and a reference mix for example, another song that's already mixed that everybody likes and I can compare them with just one click. Wich tells us that we have a lot of work to do on this mix! In the spirit of mixing a pop song, I'm gonna start with the vocal. Although he's not singing as much as you would expect from a regular pop song, I think it's good. Also I like the lyrics, you should pay attention to what he's saying. So, I'm soloing the vocal, I'm gonna listen to it raw. Good recording, not the usual bright stuff. Cool! What I'm hearing is that it's a little dark, a little dull I like that, I don't wanna make it too bright. but it's a little thick, it's gonna be a problem with the rest of the track. For some reason, I feel like compressing first, in this case. Usually I would high-pass or carve out the tone, so I'm there before I compress but in this case, I like the tone, I like the darkness so I'm gonna keep it as is. Then I'm gonna compress, then I'll EQ if I need it, to fit it in the track. And turn it on, and start compressing a little bit. Ok. I'm seriously in need of some gain. Here we go. Little shorter release, so that it pops back out of compression rapidly. Listen to the solidity of the track to the steadiness of the bottom of it, and also to the presence. Without again, and then with. Because this performance was probably assembled from a couple different takes I can hear slight differences without the compressor. The compressor puts it back together as if it was one big take, which I like. I also feel that the vocal could use a little bite. If you close your eyes and listen to the vocal without the effect, and imagine a position for it in the mix and then when I turn the effect on, see if you feel this happening. Also, listen to "Under the stars". There's a little bit of an edge coming in with the effect. So first, raw. Just a little bit of an edge, but I like that. As much as I'm trying not to EQ this, I feel I'm gonna have to do a little bit. I'm gonna use my trusty Pultec from the UA guys Where is it? Here! ... and see what we can do. First, I know it's still a little too rich in the low mids I'm gonna remove a little 200, and maybe a little 100. It sounds like this. Raw. And this is with... the removal. Then I'm gonna open up the top a little bit. You know how it feels like you... like opening a blind a little bit And then, maybe some bite at 1.5, just a little bit of "uhhh". See how it's a little muddy in the bottom. With the EQ. You may have noticed that I'm compressing the vocal quite hard. I know that the electronic drums, the loops are very compressed I'll have to compress the drums to make them sound like they belong to the same song and this vocal will have to float above all that so I have to make sure that my average level is tight and is not moving too much. So I'm compressing pretty hard. I think the EQ does what it's supposed to do. What we've achieved is steadiness between the phrases no more mud at the bottom when he goes in the low notes and a certain shine, and kind of aggressivity not in a... annoying kind of way, more of a bite. I like those 3 things, I'm gonna keep this. You might want to do triangle next, that's your problem. So let's listen to the bass. Sounds like a DI! The two of them together sound like this. This is nice! The bass amp gives you the bottom and the boom, boom, boom and then the DI gives you the clink, clink, clink. Good! Do you notice something though? Listen to the bottom of the bass, when I have just the amp on and then listen to just the bottom when I turn the DI on. Check it out. You noticed that when the DI comes in, it adds the high end. If you pay attention, it also carves out a little something in the low-mids because I don't think they're very well in phase. Ah ha! Again, this is with both tracks, as delivered. And now with the DI flipped. Since there's a problem between the 2 tracks phase-wise, I'm not 100% sure it's just 180, this button is just 180 So I'm gonna use the Little Labs in between phase to check out what's going on in between the phase. So we're here... and then I'm gonna play with the phase adjust here. I kinda dig, this is gritty. But it's not really fat. I like, this is grittiereedier, it's clearer Sounds a little like rocky, what's not to like? Although I like what we have, I hear a resonance on the bass amp. It's a little dryer on that first note, which will allow me to compress it better. I'm gonna high-pass to get rid of the bottom that I don't hear. Ok, the two of them together. Adjust the phase a little bit because of that Ok.
Because of the sound and the music that this kind of tone reminds us of, it should'nt be too fat. It should be fatter, because we're not that kind of guy, but it shouldn't be too fat, because it won't sound right. I'm gonna add some compression. That sounds really good. As a reminder, we started here. I'm gonna lower the level a little bit, to compare at the same level. I may need to make it fatter later, but for now I just like how it feels. Let's listen to the bass and the vocal, and go from there, probably drums. But I'd like to hear the two of them together. Obviously, the vocal's not loud enough. I'm probably compressing more than I'm getting up. Here. How's this working out? Cool. I like this, it's cool. Cool! Very nice, a good basis. Let's listen to the drums. The 1st verse is all acoustic drums so let's do the acoustic drum sound. I'm going to solo the acoustic drum stem easily by just hitting Solo here. I can hear both the clean sub and the parallel drum sub when I have one. The drums sound like this. Ok. I'm gonna loop it, so I can focus on just that. A little bit of snare, it's ok.
Everything sounds the way it should. What if I put both together? You notice that something goes away. it'll sound better. So, flat. Ha ha! See how the bottom becomes more earth-shattering. I'm gonna put them both at the same level. Check it out. clean it up by high-passing a little bit. It's a little bright, so I'm gonna low-pass it. I like that, that's nice. I can just copy the EQ here. I'd like that to be really fat at the bottom Without. Yeah, I like that little "whomm". Cool, the two of them together. It sounds very raw and real. I'm not gonna agonize with this forever, I'm gonna leave it be then I'll come back to it if I need to fix it. Now I'm gonna move to the snare. First snare is the top one. I'm gonna unlink these for now. Listen to just the first snare channel. Maybe I'll use the built-in high-pass from Cubase right here. Don't nurture it too much. That's cool. This is very nice and clean. So this is with the 2 snares together. They're in phase, it's nice. With the bass drum. Ok! The producer added a sample to the snare. He was probably trying to achieve a different kind of like more exciting sound. I can see how that could be useful with these two guys. Right? It lengthens it a little bit. Also you noticed that not all the acoustic hits are the same, which is great. The sample will peek through on those hits. It's gonna be pretty cool. and open the attack, so it goes "Pppp"! And then shorten the release, so that the compressor lets go quickly and you're gonna get lot of the tail, and then push pretty hard into it. If I try and match levels... This is... with the compression. Very good! Now with the other snare. Now what I'm gonna do here is adjust the output so that I can keep all my faders in the snare pretty much at the same level so they're easy to look at, but I'm just gonna use the plug-in to give me more of that bite. I like that. Ok! If you look at it, the top snare gives you the wood. The bottom snare gives you... the flap and the dirt. The sample gives you impact because of the open attack, tail, which is unnatural sounding, but fun, and also kind of like a synthetic vibe to it. So you have the wood, and then the synthetic, and you put it all together and it sounds like this, the 3 of them together again. not as fun! Better, more impact. It doesn't have the impact. Now obviously, without the sample it's gonna fall apart. It really is a nice production move from the producer to have those three sounds together to create this tone. If we listen to what we've done so far, it's starting to make sense. I will season to taste. Listen to the hi-hat mic Just the hi-hat mic Ok. Pretty expected. I don't want all that garbage at the bottom there. That's fine just high-passed. I don't think I need to agonize over this much more. A little muddy, a little too much of everything. So let's be a little restrictive here for a second. Like this, it sounds like that... Maybe you can grab this, there you go. Subtle, but nice. Maybe a little bit of a shine. Now, if I solo the entire stem, it sounds like this. The snare drum's a little loud, so I'm gonna group all three snare mics, and link all of them, and bring them down. There you go... A little more hi-hat. Ok! For this kind of music, I know I'll need a big, enormous sound for the acoustic drums, especially since there's electronic drums coming next. So I'm gonna set up a parallel processing bus compress the hell out of that and tuck that back under the clean. Here we go. Switching to the Send view, my assistant has already created the parallel bus because he knew I was gonna use this, because he knows what I do. So you can have it as a template. Probably not the sample, because it's already pretty in your face and then the overheads to have a little squish on the cymbals. There you go. Then turn them all on. Make sure they're all Pre, by hitting this little button here. What I'm gonna do now is create a quick mix by turning the clean bus down, and listening only to the parallel bus but there's no plug-in on it. Then I switch back to Insert view So it's drum compression, how about an SSL bus compressor? That seems like a good idea. Here we go, SSL G bus compressor. Open the attack, try to make it pump. Shorten the release, make it super high ratio. I'm not getting much love from this. It's not gain staged right through my current session, so I should try this. Because the SSL just didn't work. So same thing, open the attack, close the release, make it obnoxious. Go straight into it. Here we go. Not digging it. Let's try something else. Let's compress like crazy, max, and see what we have. I'm digging this! Here's a fun thing: switch back to Send view, I can now mix into this compressor and use every mike to push what I want from the tone. So if I bring the overheads up, the cymbals are gonna go crazy. up here, so it doesn't disappear every time I touch my Send. Here we go. It so does crazy, crazy cymbals. Maybe less of that. I could raise the bass drum. You hear that "whomm" thing coming up. I could raise the bottom snare Top snare. I'm curious to know what it would sound like if I use the inside bass drum mike as opposed to the outside bass drum mike in the parallel compression bus. Why? I can't tell you, but that's the way it feels. So let's check it out. Turn it on, make sure it's Pre. Check it out. See, the outside bass drum gives me this "boom! ka! boom! ka!" The inside bass drum gives "poc! poc!". Check it out. I really like that. That's gonna help me get through the track much easier especially since now I'm gonna turn the clean drums back on. So this is just the parallel compression. Memorize that. And now, both the clean drums, and the compressed drums. Sounds like a house, right? Because you have both the super compressed drums giving you the bulk and the fat and then you have the transients from the clean drums. Remember, they sounded like this by themselves. It's starting to sound good! If this was too fast, or there were some obscure parts you should probably go look the dedicated parallel drum compression video. I know I'm gonna adjust this, this is not the final sound, I'm gonna adjust with the rest of the track, plain. I'd like to show you another level. If you remember the beginning of this video, I put some processing on my stems. We've been listening to this whole thing with a limiter on the acoustic drums. Let me help you focus. Listen to the bass drum, listen to the presence of the drums. Listen to the transients, and see if you can hear a difference with and without. Still not? Ok, let me help further. Listen to the snare. Listen to where the snare lives, and listen to the height of the drums. See if you can feel a little bit of compactness. It's subtle, there's no gain here, it's just passing through the processor for its tone. because this limiter has a nice Enhance feature which is a little bit of distortion, saturation-ish I'm gonna add a little bit of that, because I like that tone because I know this plug-in well. I start at 0, and then I'll bring it up Again... Without. I really like it because it's really enormous sounding and surreal sounding, which is what we're looking for. all that stuff is gonna change. But this is a good basis. Let's listen to this and the bass. Take the bass down a little bit. By the way, this was without the presence. See how it does this a little bit, just on the bass drum? I'll do it again. This is with the bass drum at 0. So how this hit sounds with our vocal? Let's get some vibe from the beginning of the song. Where is the vocal? Here... we go! There's some parts missing here. This may be silly, because lots of parts are missing but it tells me the relationship between bass, drums, and vocal is cool. When the drums come in, they don't overpower the vocal, I got room for that. It's all dry, I'm gonna work on that, but I like this. It reminds me of something I got to show you. Check it out. Let me show you with a good meter something that's very important. Watch the dynamic range of this section. Watch the peak over average. In the middle here, look at how these two little things here dance. It's very steady, and it stays in place. You noticed that it's now dancing and being unsteady. It's not a visual thing, it's not because I wanted it to look pretty. I'm actually taking care of the dynamic range of my drums without crushing them, just making them steady by using a limiter, which is gonna take care of the peaks and the transients. And my meter's telling me that it's doing a pretty good job. Why am I doing that? I know there's a whole bunch of drums and guitars coming in that are gonna be screaming for space in the mix. If everything is unruly and flashing around like this with transients everywhere, that's gonna be very hard to put everybody together. There's a fine line between dynamic control and crushing. And you have to be careful about that. If you're confused about the meter and what I just discussed you should watch the Recording level video. Let's listen to the electronic drums raw tracks. So it's interesting to go in the arrangement and figure out where the electronic drums and everything are playing I see here that everybody's playing in the chorus, I should listen in the chorus so that I'm not just listening to three tracks and then be surprised by what comes in later. I see that everybody in the E DRUMS folder is playing on the chorus. Alright, that's interesting! Let's switch back to the mixer. Ok, that makes sense! I like the "huun"! There's another track called Lo Kick. Let's listen to just the Lo Kick. Ok. So that's for tail on the bass drum. Like "humm! humm!" Kind of a 808 kind of vibe. Let's listen to all three. I don't have to do anything to the loop it's pretty much happy the way it is, already pretty processed and I like the way it tucks in. This is a good production move. Nice! Cool! What else do we have? We have a clap! Let's add the clap. I don't think any of these two track needs processing. I know I'm like "uhh"! My hand wants to go for a processor but I'm telling myself: don't touch it, it sounds good. Let's listen to just the clap. So now, I noticed that there's one more track. BFD Chorus, let's check that out. What would be the purpose of that track? We already have one electronic loop one low kick 5 or 6 tracks of drums, plus a parallel processing bus. What would this be good for? Check it out. If I start with that muted, and the real drums soloed it sounds like this. Ah ha! See how that fake drum loop actually kind of adds a little bit of a back wall? Check it out. Without. So with such a this fake/real drum loop, we don't really know it's not being used for the tone of the drums so much as for the tone of the reverb, and the room, and the tail. That's gonna help me create a back wall it's very nice from the producer, because if he didn't do that, I would have to do it. Thank you! Let's turn all the drums on. And it sounds like this! Maybe a little less of the electronic. A little more of the clap. A little less of the hi-hat. A little less of the "boom". It's fun to hear the bass bleed from the original acoustic recording in such a track. I kind of dig that. Let's listen to the progression from just bass and drums from the beginning of the song. So, where's the bass? Hello? Here! Alright, here we go. It's good to listen to the whole thing for perspective especially since we're working on a growth-based thing. If you listen, it's nice to hear all those little details. When the fake snare drops out, you hear the real snare for 2 beats it sounds small, but then it feels bigger after. Growth-wise, I like to hear all those little details that are making more and more exciting things that are coming every 4 or 8 bars. Also, you know that when the real drums come in when nobody's heard the sound before, they'll sound really big. When the electronic drums are gonna come in, everybody's gonna go "Wow"! When the chorus comes in with that extra loop it really feels much bigger. That's without any other instrument, just the drums and the bass. We're on good way to achieve the growth part of the song. Now that I have the tone and placement, or approximate placement of all my loud stuff, I'm gonna take a second to gain stage the whole thing so I don't end up clipping my converters or my 2-bus. To do so, if you remember, I have my stems. Now I'm hitting my converter at -16, -17 average which means that I'm hitting my converter at the sweet spot, so I'm hearing reality and I have plenty of room for more instruments. Next one being probably the piano. Let's go to the first verse. This, in the past life, was a real piano. Let's listen to it. I feel it's a little muddy, and definitely too dry. I'm gonna take advantage of this situation to work with reverbs. First, let's unmuddy the piano. I just wanna tuck in a little the low-mids on the piano with the built-in EQ. With a little tuck in. Obviously, this sounds fine here. But does this sound fine here? It's a little too muddy. If I cut out the low-mids when everybody else is playing, it feels better. Always try to plan ahead. So let's switch to Send mode and start assigning some reverb to it. What I like to do, this is just a little practical trick is I like to keep all the reverbs in the same slots. So, my FX1 always in slot 1 FX4 always in slot 4. This is great if you're gonna add reverb to a whole bunch of stuff. When you're looking at it bird's-eye view, you can tell what is what. So I'm gonna turn the 250 on. If you wanna look at the setting on the 250. Just a little bit of a holy kind of vibe. Just sauce, electronic sounding, because it has to in this particular case, I don't want it to sound natural I want it to sound kind of otherwordly. And then a little bit of the 140, which is set like this. And then with the two EMTs. This is 100% a question of taste. You may like it bone dry, you may like it very wet. I'm doing this to create a contrast from the piano that's gonna be here and when the drums come in, they're gonna feel... in your face because they're gonna be very dry. That's the idea. So, well, let's see if it works! That bottom note sticks out: to-di-dum, to-di-dum. I don't want to automate the whole thing so I'm gonna compress it. Switch back to Inserts. Put a compression on there. Here we go. Ah ha! Without. Listen to that third chord. Ok, that's without. This is with. Cool. I like what it compresses, but it needs more. I'm gonna heighten the ratio. Here we go. It also makes it sound a little weird, which I like. I'm getting that front-to-back vibe and everything. Unfortunately, because the vocal is so dry, it kind of ruins the experience. We should take a second to put some reverb on the vocal so at least it sounds like you know, they're hanging out in the same spot. You remember, I put the FX1 on the insert 1.
whatever the settings I can find... Solo the vocal. Make sure I'm getting everything I need to get. Come here, and check it out. Ouuhh! Too much! I also have the... double on here. So I'm gonna put a little bit on the double. But really, it's just for the lead. The double is just to say we did it. It's starting to sound good. As a reminder, without the reverbs, it sounds like this. I'm gonna add just the Office which is a little distance on the lead vocal. Cool. A little of the 250. That's kind of a space-ish kind of thing. That's nice, because it catches the s's. Check it out, listen to the s.
And then finally the Plate to give the tail. Cool! Very nice. A little bit of the reverb on the double too. Just because, and then we should probably switch back and copy at least the EQ to the double. If you noticed on the 2nd part of the verse when the electronic drums come in there's a different piano track. It's not the same sound, it's not treated. It would be cool to do a little trick, or make it sound a little different or do special with it. If we go there and we listen, it sounds like this. Basically, exactly the same as it did on the 1st part of the verse before we treated it. it's pretty much the same kind of vibe as the 1st verse it would be interesting to do something different on this 2nd part of the verse. If the producer separated the 2 piano tracks, even though they're playing the same part that's a hint, it's like: do something. So let's do something. I'm probably gonna use some sort of a distortion and see what happens. AmpSimulator, straight out. What does that sound like? Rock'n'roll! Maybe not. I'm trying to figure out something that would make it interesting but not be annoying, not be in the way, and still be a good departure from the 1st verse. This right now sounds like hell, but maybe we can do something with it. I don't like this, let's try something else. Ok, why not? And then maybe like a flanger. Modulation, where are you? Modulation. That's a little bit much. Less fat, wide open, little less feedback. In this case, I'm just trying to make it fun and weird. If I listen to it in the track, it sounds like this. I'm just playing, trying to find something that inspires me. You may use a phaser, you may use no modulation you may use a bit crusher, you may mute the piano, you do whatever you want. In this case, I'm inspired by this, plus it's kinda odd to hear the same part with a completely different sound. The flanger makes it dreamier, and otherworldly, and not very real-sounding which is what I'm looking for. I'd like to put some reverb I'm gonna switch to the Sends. Add some reverb to this, probably the same reverb as the 1st one maybe a little more to create a difference and then maybe the Plate too. Let's listen to the transitions, see if it's effective. Here we go. I really like it. I think I need to compress more because it's kind of annoying, it takes too much room. So let me compress more here. And probably try a catchy attack, so it's smoother. Check it out. I like that. Let's listen to the transitions again. I'm trying to make the effect happen, get the feeling of it but not be distracted from the vocal or the rest of the song. The transition sounds like this, with more compression on the piano. I really dig this, it's starting to really feel like a track I like this weird trick of changing from a clean piano to a distorted piano. At this point, we've been working for, in real life, probably 2 or 3 hours depending on how fast your are. You're probably starting to lose perspective. So it's a good idea to reference when you have enough tracks, and it's starting to sound like a record and you can pass judgement on what you've done. If you remember from the beginning of the video, I have a reference track. If I solo it, it mutes everything else and I hear my reference. I use it this way. Play my mix, switch to the reference, get back to my mix. This is great, because it shows me a lot of stuff at the same time. For example, the other mix has a lot of dryer vocals, maybe a little more present and also, more acousticy, a little linear drums. Ok! Do I want to match that perfectly? I don't know. Maybe that other mix is fully approved maybe that's the reference mix for the whole record. If yes, then maybe I want to go in that direction. How much matching do you want to do from song to song across the record? That's up to your taste, it's all artistry, you'll decide. I like to keep it in the same vibe unless I'm trying to surprise the listener and make a point. In this case, I'm probably gonna want to dry up the vocal on this mix and get closer to the other mix, so I have an overall record vibe. So I switch to the Send view, go to my vocal dry up probably the 140, and a little bit of the 250 here. Here we go. I can feel I'm gonna have a vocal presence problem on this mix because there's so much stuff around it. So I'm gonna finish opening all the music tracks and then I'll deal with that at last. a little thing here, and then something that comes on the verse and then something that comes on the chorus. Let's listen to this one first, solo. It's called Edge guitar, appropriately. It's got its built-in effect. I'm not really hearing much to do on this except maybe put it in the space by adding some of the local reverbs. If you have an instrument that already has reverb or delay on it it's gonna have its own vibe. If you want to unify it with the rest of the track put it in the same reverb as some of the stuff that's on the rest of the track. That way, you get kind of like the sauce between the two of them. In this case, that's what the 250 does. You may want to move it to the side. Next, you can see here something comes in on the verse. What do they sound like? That's a cool effect! It's like some guitar in some spring reverb or something. So, in the track, it sounds like this. I'll make them loud so you can hear. And then bring them down, so that we can understand what's going on in the song. It's just a little nugget. It's not uncommon for productions like this where the guy has a real vision of what he wants to do for tracks to be fine the way they are. You're not gonna change that vision if it's fine, right? Let's move on to something we can work on. What's the next guitar? The Edge guitar comes back here on the pre-chorus. Ok. It's just a little filler. And then here, the chorus guitars. They sound like this. That sounds great! In context, they sound like this. I like them, but I feel they could be a little more edgy and aggressive. They already sound pretty distorted, I just want a little saturation. Let me find a plug that will do that. I'm gonna solo this one, and this one. I'll just solo one, so that it's easier to hear. Let's start in the spot. Ok. There's this thing called TAL. It's a free plug-in, it's pretty cool. It adds a little creamy thing. I'll copy that on the other side. It's exactly what I wanted. Just an edge but it's a little dry and feels detached from the rest of the mix I'm gonna put a little bit of the sauce on it. Switch to Sends view. Here. A little less. And here. 250 please. Thank you your majesty. Here. And also, you know what? Some of that 1/4 note delay. It sounds like this in solo. As a reminder, without the reverb, it sounds like this. A little loud, I'm gonna bring them down. I'll have to adjust the balance at the end when I have everybody. Right now, I'm happy with this. What else we have for guitar? It seems that on the chorus, something else comes in. This guy. That sounds a little too thick to me so I'm gonna use the built-in EQ. I'm definitely gonna use the 1/4 note delay on this to give it kind of a pad vibe. That's too much, a little less. Let's listen to it in context. You may have noticed that when the chorus comes on the vocals are kind of dull. I just noticed there's a different vocal track for the chorus and we didn't treat it. So I'm gonna switch back to the Inserts and copy those to the lead vocal on the chorus so we at least have some sort of a starting point that's correct. I'm gonna copy the reverbs' settings... -ish. It's good sometimes to have 2 different tracks 1 for verse, 1 for chorus, for the vocals. That way, you can have different effects without having to jump through hoops and automation stuff. Sometimes, I will copy the vocal part on a different track even if it's not done by the producer, just so I have that kind of freedom. I have a feeling that considering that the chorus is getting so much thicker maybe I'll put it a little 1/4 note just on the chorus Just like this. See how this sounds like. It now makes more sense, sorry about that Let's listen to the chorus synths. If you look in the arrangement here there's a whole bunch of stuff coming on. For example, I see that something that's here since the beginning called CS 80 Fender. Let's listen to that. Is it playing here? Ok, that's kind of a pad. I already know, right away, that it's too thick. I don't have that kind of room anymore. There's so much stuff. I'm gonna plug this in. High-pass with the built-in EQ from Cubase. Listen to this. Maybe even a little bit of this. And probably some reverb too, we will see that after. What else do we have? There's an Arp lead. Ok, clearly designed to work with him. So maybe I want to put it on the other side of that. Same problem, too much room. As a confirmation that it's too much room in case you have a doubt about my sanity, listen to it with the bass. If I mute the 2 EQs I just did, it sounds like this. Notice how the keyboards are in the way of the bass. The bass is left alone, that's what matters. Alright. What else do we have? Get rid of him, bye bye, thanks for coming. Pro 53, interesting. What could that be? Let me mute the bass. That, I wanna hear in the context of the track. I'm gonna mute the other keyboards I haven't heard yet the Oddity, and the Mini Lead. I'm wondering how it would sound if I low-passed it and made it a little darker. It would sound like this in solo. As if the filter on the synth was more closed and that would leave more room for the guitars and for the vocals. See, it allows me to put it louder in the mix because it's darker and doesn't take as much room It fills that low-mid area very well without being too muddy. I like that. What else do we have here? Oddity. It's very quiet! Maybe it comes later in the chorus? Yes it does! Same problem. All that is too thick. If I had started the chorus with the keyboards maybe I'd have kept the keyboards fat and made the guitars thinner but that's not what I did, so I'm gonna go with my gut. Try and locate the part in the mess! Is it important or not? I'm gonna play it and mute it on and off. I like it. For some reason, it's to the left right here I'm gonna put it in the middle, I think it'd be great in the middle. I'll do it again. It's the kind of part that you don't really hear when it's there, but you miss it when it's gone. Check it out. This is the kind of part that will also help the chorus feel heavy when it comes on, without being that much louder. It's just a little part tucked in, maybe too loud, I'll bring it in a little bit. The last chorus part is this thing. What is it? Ok, same thing, that's a really cool part. Put it in the track. That's awesome. I think it needs delay to give it this otherworldly vibe. So let's put a Quarter delay on it. That's great. And also a little bit of reverb, to make it feel wet and kind of like grandiose. Cool! Let's listen to the whole track in context. This is a perfect example of the several kinds of parts. You have the ear candy parts that you can do without, but that's just for style you have the parts that you don't really hear, but you miss when they're gone and the lead parts. It's nice to be able to be in sync with the producer when you choose which is which. Here, it's pretty obvious. Let's listen to the whole thing from before the pre-chorus, pre-chorus, chorus to see if it really lifts the way it should with those keyboards. obviously, I got carried away with the keyboards. The balance is falling apart. When the pre-chorus comes in the guitars are too loud. I like the tones, I don't like the mix of them. First thing I'm gonna do is adjust the guitars on the pre-chorus then I'll adjust the keyboards down, so we don't loose the focus of the track which is the beat. I really like this sound and it's taking so much room, so I'm gonna make it brighter so I don't have to raise it, but you perceive it more. Check it out. I go back here, Mini Lead. I use the built-in EQ. Let's go to the right part, it helps a lot. I don't like this EQ for this. Let's use something else that's gonna be sweeter. Like, for example... the Pultec Pro. You noticed the difference in sounds between the 2 EQs, right? This is the Pultec. Then if I go back to the bult-in EQ in this particular case, it's not gonna work. You can perceive that part better. It comes forward very nicely without feeling too loud. So. What next? This still has some balance problems. Everything sounds good but the vocal is getting buried in the chorus. Let's address that. What's going here? There's also a double. There's so much stuff going on, and this is so smooth I think we should make it less smooth. Let's use something like... a distortion. Decapitator. Let's see how that sounds. A little edge, a little upper tone. First, listen this flat And then, I'll add the effect back on. Listen to the quality of the tone and also the edge, the upper edge, the aggressivity of it. I love what it's doing, and if I copy it on the double, it might help too. I've been having a vocal edge problem since the beginning of the mix. So I may want to copy that effect on the verse but maybe have a more tame version of it. A little less distortion, a little less brightness. So that when the chorus comes on, it feels bigger. So this is... say from the beginning of the song With a little bit of edge. You noticed the background vocals came in let's listen to them, we haven't really dealt with them, I just unmuted them. And they look like this, in the sauce. here mostly, at the end of the chorus, and a little bit in the verse. but one of the benefits of having a sub is that I can put an EQ on the sub, and it's gonna affect everybody. then remove some low-mids, because I can expect it to be a problem. This is gonna apply to all the tracks. For example, this is the end of the mix, I feel the drums are a little dark I can just pop a little EQ on the whole drum mix, or even on the stem and jack it up a little bit. I'm using the sub on the background vocals to only have to process all the background vocals together. Let's mute the lead here, just backgrounds. A little too thick, still. And the other part is called "All I See" probably just at the end here. That sounds good. It actually could be a little bitier so I'm gonna take the Decapitator and bring it on here. Sounds good. Turn the lead back on. That's it! Really quick, a couple of minutes to give the sound of the background vocals. If I hear something sticking out when I listen to the whole song I probably will come back and do some single adjustements but I don't think it needs much. Now, I'd like to show you what you can do with stems when you're getting near the end of a mix and how you can use the stem tracks to actually analyze where everything is in the mix. Check it out. For example, let's go to the spot where the electronic drums come in. the clap and the loop are a little loud. Check it out. That makes more sense to me. It's more difficult to hear with everything on sometimes it makes more sense if you mute a bunch of stuff and it's really easy to mute if you have the stems. For example, you could listen to the whole track with no drums. it's kind of singling out the fact that those guitar and spring reverb tracks are a little loud, and they stick out more. I know I will notice them more if I put it back in the sauce. I'm gonna bring them down and listen. And then turn the drums back on. Now those guitars annoy me more because it really pointed them out. And I'm able to bring them down a little further, and that will save the project. Another spot where it would be useful is on the chorus. What happens if I mute the guitars? Cool. I get the vibe. Mute the... synths. So that... synths... our page of synths is too loud. At least it feels that way, let's bring it down a tiny bit. The stem controls let you do the pairing thing, which lets you figure out if anything sticks out much easier than if the whole mix is playing. TV tracks-just mute the lead vocal, instrumentals-mute all the vocals. It's a very great way to work even if you're not gonna use them for the limiting thing, or for any other tricks. It's a great way to structure your mix. And now, the moment we've all been waiting for the before and after hair cut pictures: mixed/unmixed. We're gonna play both at the same level and toggle back and forth, so you get the vibe for what we've done. Here we go! Your mix will be different from my mix it's based on what you've been listening to, which is different from what I've been listening to. And also your idea of what this kind of music should sound like in particular. That is a factor of two things. Tradition: how much respect are you gonna pay to the tradition of what this kind of music sounds like? How much are you gonna keep your listener safe by playing them something they've heard before? And how much evolution are you gonna bring to the style by creating something that's gonna surprise them? Tradition vs. evolution. it's a good video, but comparing to other fab's video, it seems this was not of the best days of him mixing in my opinion. good video nevertheless. Great video. Super explanations. Following along using different plugins, I was able to improve the mix by the same amount as the conclusion of the video. A part II would be great to go over the finishing touches like automation. I'm glad I didn't have the same plugins as it forced me to better learn what my plugs were good at and how to compare to the sound you were going for. For instance, comparing 1176 clones and different EQs. ie PSP NobleQ has a much softer 5 and 10k for vocals than the PSP McQ equalizer. The latter being richer and would likely work better on a EDM track or rock. I also hear a lot of artefacts like Markedgeller describes it. Maybe re-encode the whole thing? Some interesting artefacts in the audio of this tutorial. Mostly noticeable during the acoustic drums mixing. There some odd stereo-ness happening when the mono kick and snare mics are solo'd, like I'll hear a hit more in the left or right side (and it seems random). Some of the punch is missing in the centre, but occasionally comes back for the odd kick or snare hit. Makes it tricky to hear what you're actually achieving with compression. I'm unsure whether this is something to do with the quality of the stream or some plugin issue with my browser. Has anybody else noticed this happening? I just want to clarify something. You are not setting up a buss send , you are sending your drums to the bus sub via the outputs rather then making a separate send. Correct. SO along the top , where y0u have the outputs, they are being send directly via the outputs to an aux channel. Likewise the outs from the aux channels are going to the separate bus stems. The outputs of those are stereo outputs. I think I have been doing it wrong for a very long time if this is indeed the case, I've been sending to the separate axes via sends on the send channels. Correct? Never mind, I somehow missed the first video. This is great! Hey, i have been using groups in cubase for a long time, but the "stem" mixing in cubase is new to me and I cannot seem to figure out how to open a bunch of stem channels that I can have bus channels routed too. Is there a tutorial on that? P.S Awesome website! 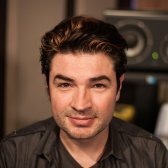 I went to Burklee Music College for Mixing/Mastering and I find this website is WAY more helpful! Fab, thanks for the this video. I am really impressed with the less is more approach that you take to this mix. Nothing is over equalized and the plugins make sense with nothing drastic. you use the effects to blend things together and put them in their place within the mix. Very tasty. I would be very interested in seeing what you did with your final processing on the entire mix. EQ, limiting, etc. I love the fact you used Cubase for this as well. I am moving to that from Pro Tools because I am tired of being short on basic features just because I can't afford a HD system. Cubase 8 rocks. soundshigh: If I did not address it it's because it felt fine to me that day. I may feel different about it today. That's part of the ever evolving quality of the process. Hi pass filters with gentle slopes tend to be less harmful than eqs with sharp slopes. I'll hipass if I need nothing from the bottom of the track and resort to scoops if some of the material at the bottom is needed or if I feel the filter will emasculate too much. @alextkirk: I beleive that in Cubase pre fader is post plugins. @cristianr.mendezm: yes that's the routing. There are many more videos like this one on the site. We will do more Cubase content in the future. @Fat Roonie: Eqs get picked based on mood, needed features, dsp load, amount of laziness involved with clicking around and then sound too. The mixing order does impact the sound of the mix. It varies by track but I always start with the vocal to make sure it's always on when I mix the rest. But all sounds keep evolving throughout the mix. It's a war with multiple fronts. Finishing by the vocal is the kiss of death for me. There would be no space left for it. I use solos more in videos to make sure you can really hear what is going on. Another question :) I noticed you did not high pass everything that was supposed to be a midrange instrument - the piano and one of the pads I think - but you chose to carve out the low mids only. Is this because generally high passing could be considered a more degrading than band EQ? Thanks! Hi there - first, thank you for the fine and elegant tutorial. The hint about all fx auxes going to their own stem is a great work around for the lack of VCAs I suppose. I noticed that Decapitator distorts the sibilants, which was most audible on the occasional "f" sounds...I do have a tendency to overprocess and try to perfect everything too much (which often results in crappy mix), so I am trying to learn where is the good enough line. Are those distorted "f" sounds just something to not bother about, or the tackling of this problem was not included for other considerations? Hello Fab, can you explain the difference you make between "verse / chorus" and "verse / refrain", it's the same for me. Best regards. Hey Fab, Rookie question maybe: When you make your sends "pre-fader" does it not mean that you are also sending then without the process of the plug-ins? Fab, Very nice session, clearly taught and all at a smooth pace. I look forward to making a mix of Periscope. Good Stuff! Aloha Fab, I use your Periscope video as a standard to guide me through the mixing process. I am new to mixing and appreciate your video tutorials it sheds a new light on my perspective. Using Puremix Videos and experiencing the process unfold and explained by, in my humble opinion, the best in the business, affords visual-tactile learners, such as myself, the opportunity to grasp the concepts and fill in the missing pieces. Thanks for creating this site. thank you for showing us tips like this i learned so much hear. i went to collage and got a degree as an audio engineer but to be hones i feel like this website has been much more helpful because you show us the real deal. keep it up fab. All is very clear and seems so easy ! Your explanations are very good ! It's really a great video to learn all the possibilities to make a good mix ! Thank you Fab ! It´s my first video and I felt really comfortable! Great job. I am interested as to why you use Sonnox Eq on one track, Puig on another and then sometimes Cubase built in eq's. The other question I am interested in is How important is the order you mix in and how does it impact the mix. What happens to the first instrument in comparison to the last. I have read people tend to make the last thing they mixed stand out more in the mix, therefore it is best to finish on the vocals. Also You solo'ed everything to work on them, not in context with the other tracks. Was it just for the video or is this how you work? Anyway brilliant, lots learned here. Great stuff!! thanks for showing how you dealt with phase issues...this is something i need to be more aware of on everything I mix. Can't wait to see you do more full mix tutorials. Its helpful to see work-flow from start to finish. Great tutorial!Thank you so much! But I have a couple of questions. Why you didn't fix the vocal tracks like in "How to Eq Vocal" video? 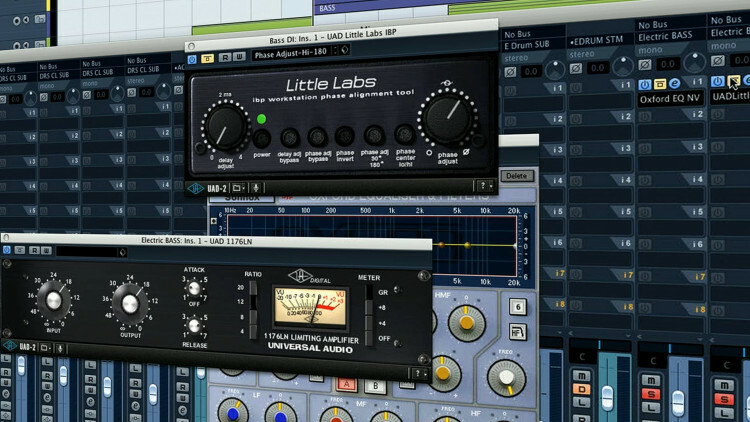 And what are alternative plugins to UAD EMT 250 and EMT 140? Thanks for answer! "This (piano) in a past life was a real piano" ahaha! awesome! Hey fab, thanks for giving me a better sense of my plugins! Fabulous! hi fab, excellent tutorial video, thanks! For the audio files provided, did you flip the phase on the Kick Out channel before exporting, or is it exactly as it was sent to you? Thanks again! great vid!!!!! the drum mixing was AWESOME!!!!! Fantastic video. +1 to make the CPR available, Why?, cos’ it helps a lot to learn new workflows. Fab, another great video. I'm most impressed by how you flew through that mix in 90 mins... technically much less b/c you wouldn't be doing the talking in a normal mix situation. I want to touch your hair. I feel that it could give me good luck in my mixing, like rubbing a genie bottle. Best tutorial yet! Awesome to see a session worked on from beginning to end. Puremix does it right! @Lupez: Logic mix vidéo coming soon. It's in the can, making its way through post production. Plastic Days rocks. I had fun working on that record. Just finished watching the video and very much enjoyed it, although Cubase has the ugliest interface I've ever seen - very confusing and fatiguing for me. I'd rather stick with Logic 9 Pro - please make a video with it! Fab, Great Mix lesson. Your discussion of the principles, analyization and explanations of the individual task while instructing are far superior to any service like this out there! The work ethic and passion for your viewers is greatly appreciated and makes a true difference in someone learning not only something they can gain insight in but also something they can really use and still apply themselves! I was also curious to see the cpr because your session is so nice and tidy, but I spent a bit of time pausing the video and reconstructing it myself so now I have a pretty good handle on it, this will certainly change the way I set up sessions from now, so thanks again! Wow you work really fast in Cubase ;-) And phase flip on the channel is cool thing, maybe I should try Cubase out. Tnx again for a great video. Wow! Really great. Any chance you could make the CPR available? Even with the plugins removed just so cubase users can take a closer look at the routing? Thanks!